by Doug Wagner---Individualism is alive and well on East Colfax. It's only fitting that a one-of-a-kind street like Colfax Avenue would have its share of one-of-a-kind shops. And on the stretch of Colfax that runs through Capitol Hill, there's a happy convergence of them. 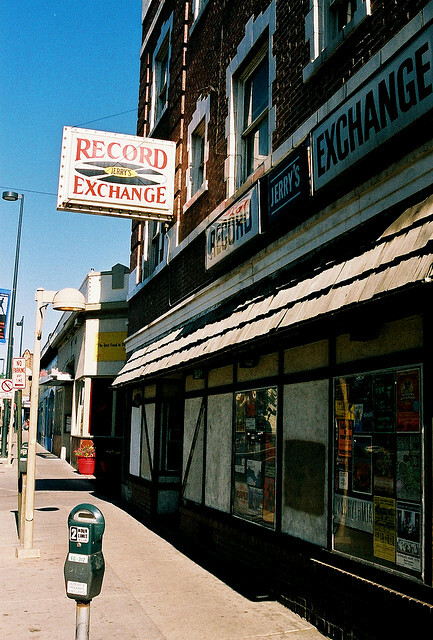 Take Jerry's Record Exchange, a used- record store that doesn't sell via Web site. In a market that's down to just a handful of shops in the metro area, this is the only one that's standing its ground so firmly that, except for the CDs, you'd think it was still 1981, the year the 33-year-old business moved to its location at 312 E. Colfax Ave.
Actually, owner John Loquidis says it's not by design - he's been meaning to get around to that whole 21st-century thing. But despite any procrastination that might be happening there, Jerry's is all over the Internet. Google it and you get more than 2,000 links. It's known around the world as a temple worth visiting, and thanks to some major loophole in the laws of technology, that actually translates to a steady flow of walk-in customers from around the world. Apparently, it's like any other business: If your product's good enough, people will find you, even if they have to fly from Japan.